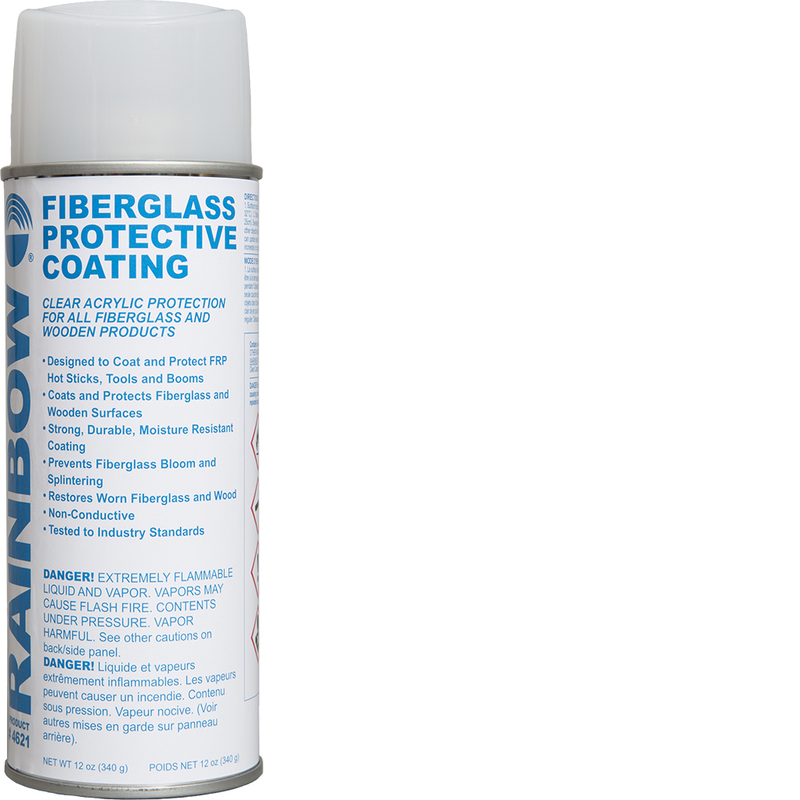 A clear acrylic protective coating for all wooden and fiberglass products. 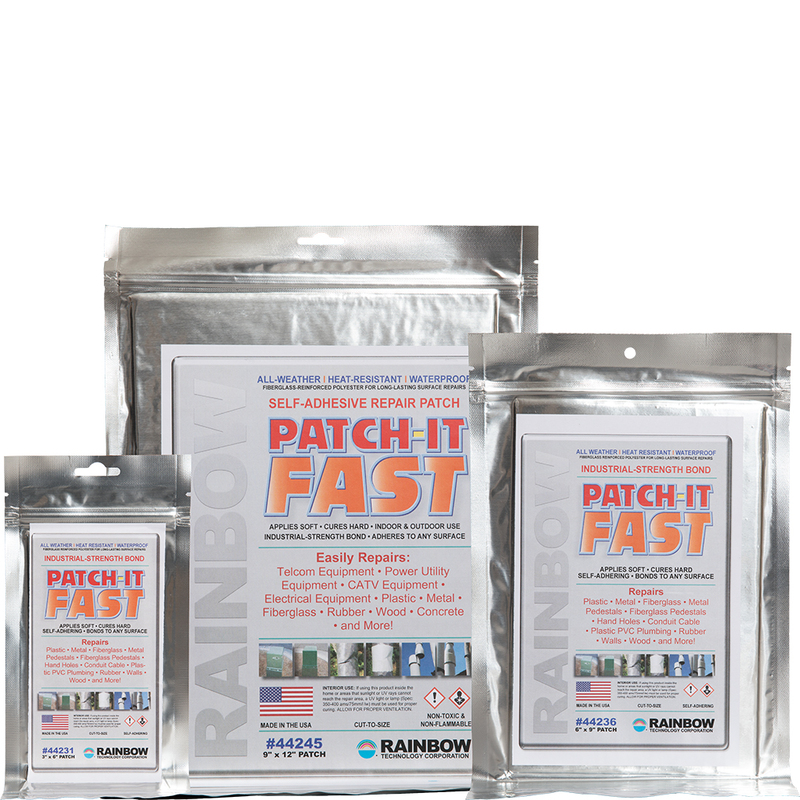 Fast-drying, non-conductive coating. For use as a general purpose acrylic coating, suitable for most surfaces where maximum indoor/outdoor durability is desired. This clear acrylic coating protects ladders and other assemblies against decaying, cracking, chipping, fading, and flaking caused by the weather. 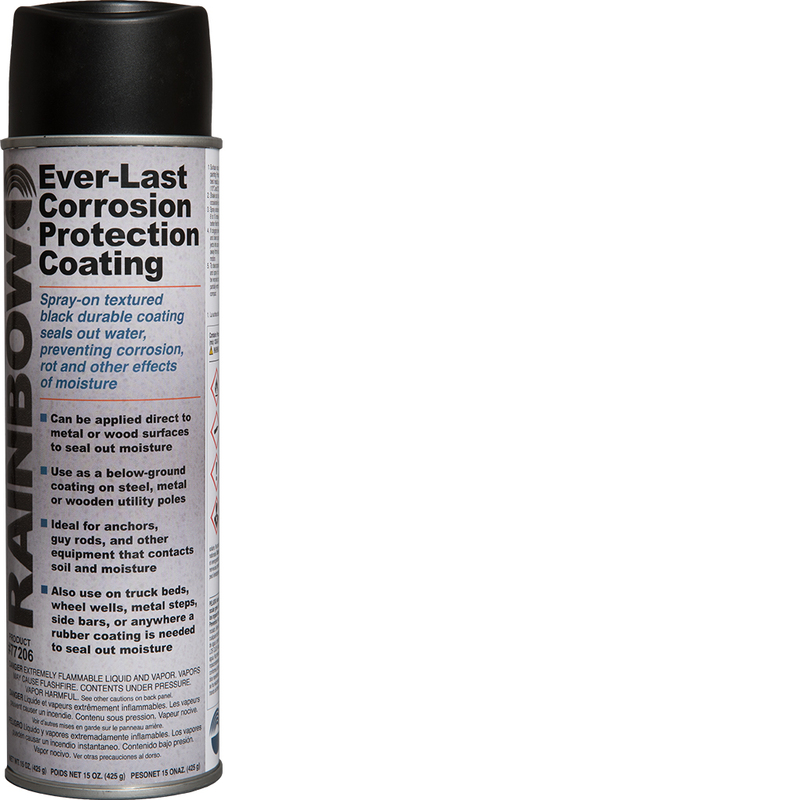 This coating can be used on hotsticks, material handling booms, upper aerial lift and digger derrick booms, and temporary change out equipment. This fast-drying aerosol formula requires no brushing. National Electric Energy Testing Research and Application Center (NEETRAC) tested to industry standards for durability on fiberglass products. NEETRAC tested dielectrically safe. Protects against ultra-violet radiation. Test procedures – ASTM F-711 “Specification for Fiberglass Reinforced Plastic (FRP) Rod and Tube Used in Live Line Tools” and IEEE SED 978-1984 “Guide for In-Service Maintenance and Electrical Testing of Live-Line Tools”, “coating provides a dielectric finish equal to or better than the manufacturer’s surface when properly cleaned.” Test report available upon request. Von DC Hi-Pot Dielectric test conducted at NEETRAC Test Report is available upon request.